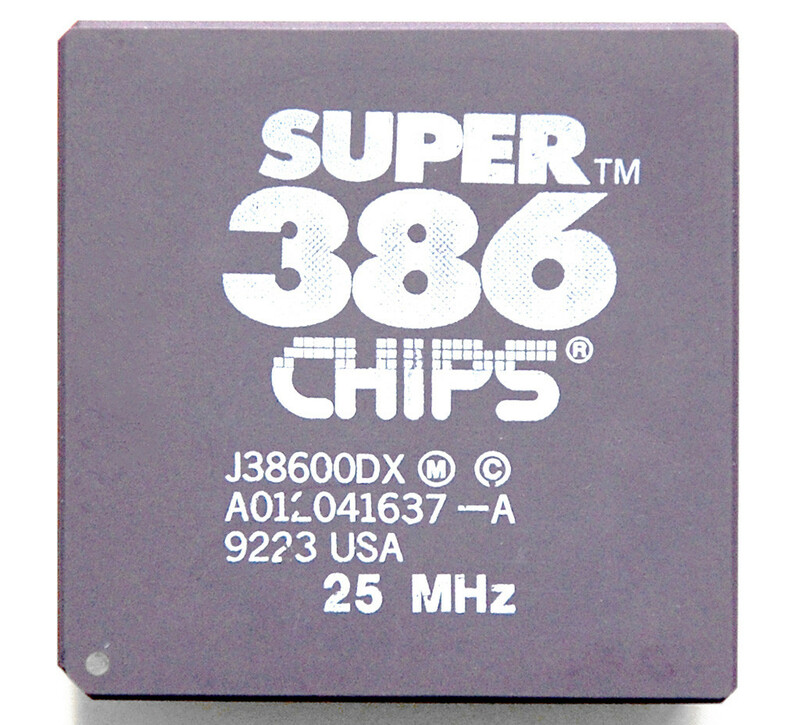 The Super386 processor family developed by Chips & Technologies was an enhanced version of the 80386 and therefore not a pure copy of the Intel 80386. Chips & Technologies built two pipelines for instruction execution into the 386 and for some versions even a small L1 cache. 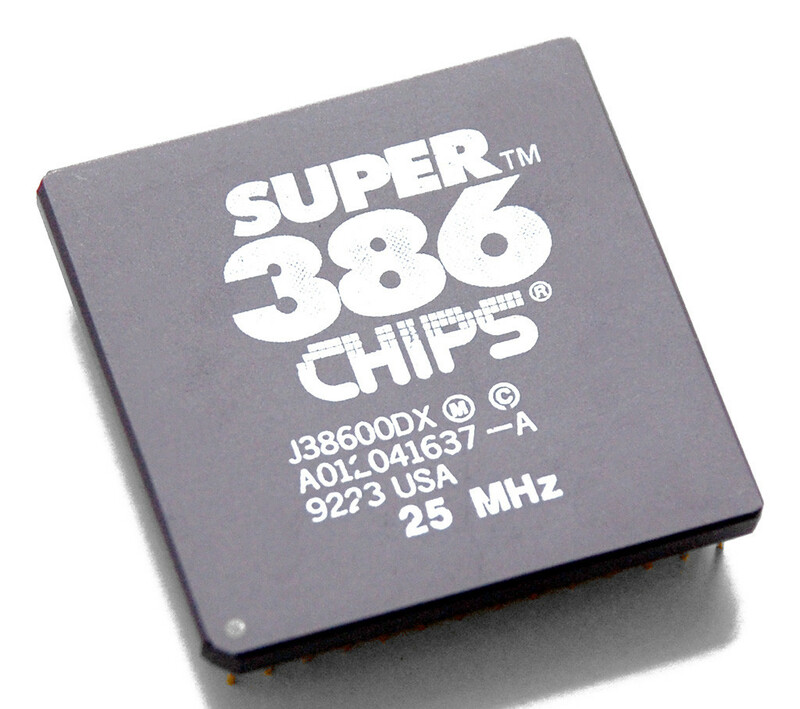 Because of that, the Super386 was rather a fourth than a third generation x86 CPU and was even slightly superior to the performance of the Intel 80386. This made the processors comparable to the Cyrix Cx486D/SLC. 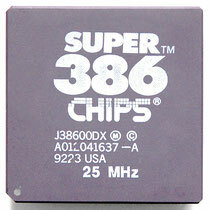 Nevertheless, Chips & Technologies didn't gain much attention with the Super386 and didn't develop a successor. 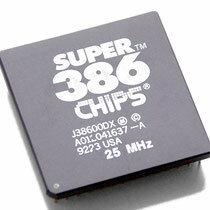 The 38600DX is similar to the i386 DX. 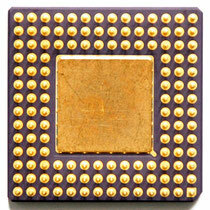 It was introduced in 1992 and was clocked between 25 MHz and 40 MHz. 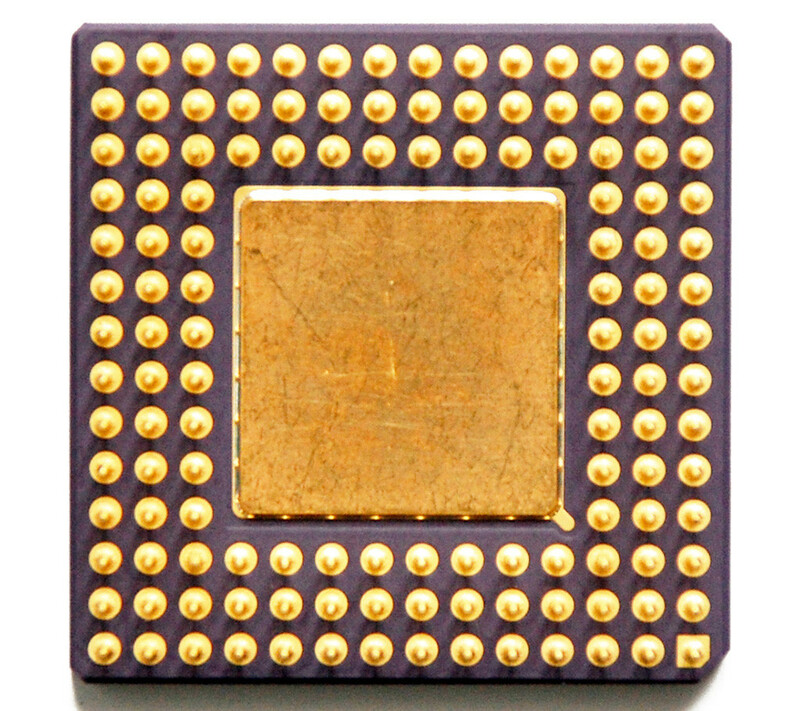 The 38600DX could fit into the 386 DX socket with its 132 pins.